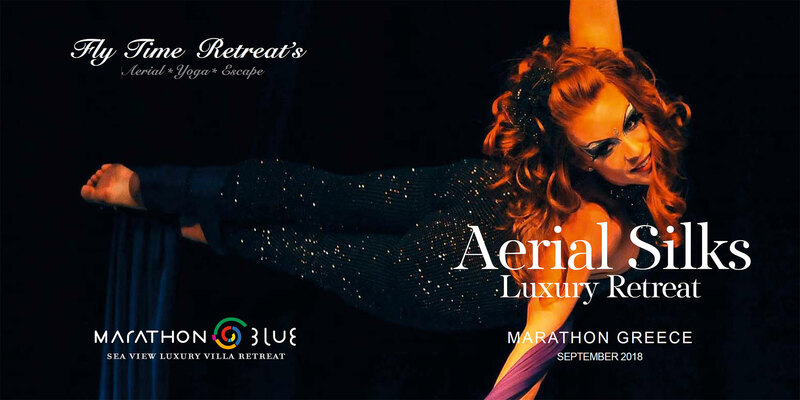 Escape to the breathtaking landscape of Marathon Greece for Fly Time’s Luxury Aerial Retreat this fall. 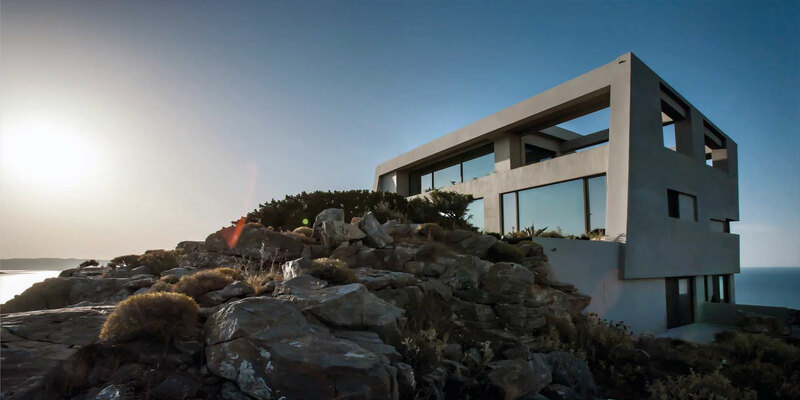 Marathon Blue is located on a gorgeous hilltop that has a complete 360 degrees view of the magical Evoikos Gulf. This gem is only 40 minutes from Athens International Airport and one hour from the centre of Athens. The perfect distance away from and to civilization, so you will be able to fully recharge and relax or revitalize and energize your soul – whatever your preference may be. We will enjoy daily Aerial Silks classes and a few restorative classes throughout the week. 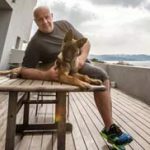 In between, enjoy the delicious local, organic and fresh food and beverages that Greece is famous for, as well as daily excursions to take in all that Greece offers. Are you ready for your next Fly Time Retreats adventure? Everything except your plane ticket to and from Greece! At the end of select days, participants will enjoy a restorative class to help balance and stretch your body from your aerial silks lesson and daily adventures. Focus will be on relaxation and flexibility through either a yoga class, stretch class or relaxing aerial yoga class; the perfect end to an amazing day. Jamie Holmes’ career has taken her around the world performing on Vegas stages, cruise ships, European tours, throughout the Middle East, USA and Canada, as well appearing in many televisions shows, movies, music videos and stage shows. She began as a competitive gymnast on the west coast of Canada. Dance was soon integrated into her training, which lead her to The Randolph Academy for the Performing Arts in Toronto, Canada. 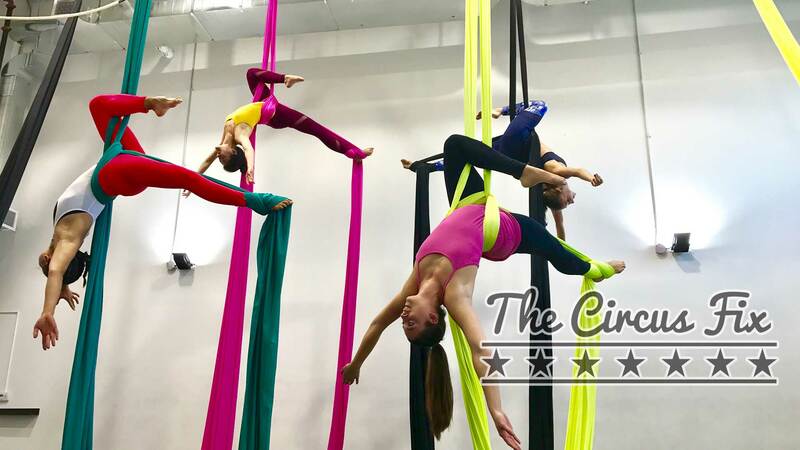 After graduating, and while performing in Las Vegas, the circus bug bit her and she further expanded her performance training with Aerial Acrobatics, which combines her love of both dance and gymnastics perfectly. You can now find her performing high in the air as well as dancing on the ground. Throughout her career Jamie has taught all forms of dance, acrobatics, a huge range of fitness classes, and aerial classes to all ages and all levels. She is the owner of Studio Flux Inc which is where she operates The Circus Fix classes in Toronto. 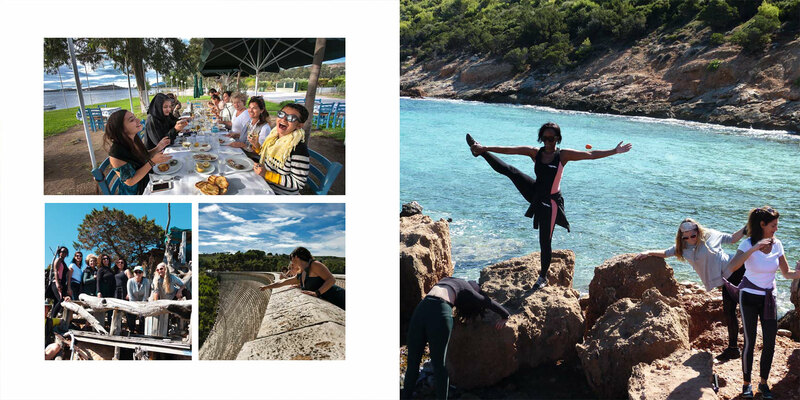 She also runs Fly Time Retreats which hosts Aerial Circus and Yoga Retreats in Costa Rica and now in Greece! Spyros has travelled all over the world and has spent over 30 years living in the area of Marathon. He can personally assure you that Marathon is the perfect place for relaxation, activities and day trips. You can feel the history of the area and be part of it. After only a few days of staying here, you will feel like a local! Spyros and his team’s goal is for you to hand on to the vibrant feeling you enjoyed during your stay appon returning home and until your next visit. Aerial athletic wear – leggings that cover the backs of your knees and a top that covers your waist. the perfect place for groups, couples or solo travelers. All rooms offer luxury high quality hand ironed linens, free Wi-Fi and air conditioning. 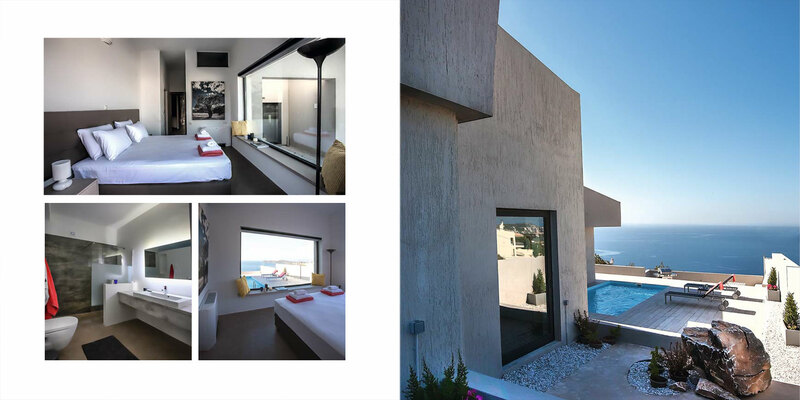 Equipped of course with anything you could ever wish for: from a state of the art home cinema installation and satellite television to speedy internet connection, a wonderful garden with a swimming pool and much, much more. If you have any dietary restrictions please let us know prior to the retreat so we can accommodate. The retreat will take place from August 31st to September 7th, 2019. This retreat is perfect for singles or couples! This trip is great for solo culture vultures who want to immerse themselves in Marathon. Explore the coast-the South Evian sea surrounding East Attica & Marathon gulf will astound you with miles of golden sand- soak up the sun or take a dip in the sea in a kaleidoscope of blues. 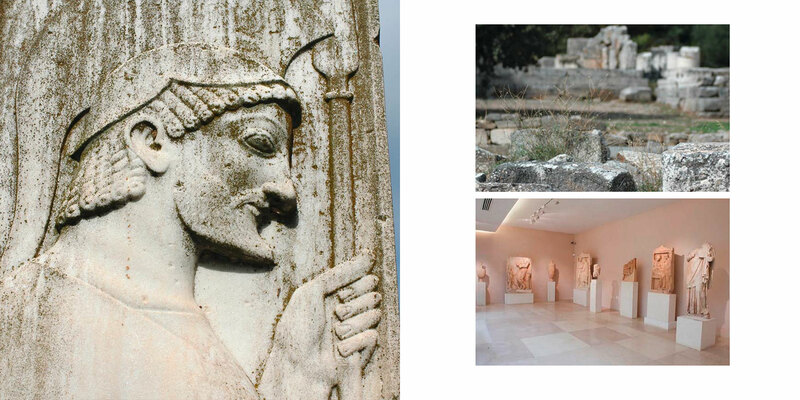 Visit the archaeological museum of Marathon, the Antic City of Ramnous, Marathon Lake, the start of the original Marathon run and other local attractions. Head to the Schinias National Park – an area of 13.84 square kilometers of rare ecosystem composed of a wetland, a coastal pine forest, a freshwater spring, a peninsula, a hill and a magnificent bay! The area belongs to the Natura 2000 network with 19 habitat types, 115 bird species with a potential diversity of 215 species including threatened species of freshwater fish, amphibians and reptiles. The Cynosura Peninsula: The Cynosura Peninsula and the Drakonera hill are limestone formations, covered by bushy, Mediterranean vegetation where the shrub Juniperus phoenicea predominates. Makaria Spring: The Makaria spring streams in the northwest of the National Park, preserving two freshwater and brackish water lakes. purpurea, Ardeola ralloides, Circus aeruginosus, Circus pygargus, Cisticola juncidis, Egretta garzetta, Ixobrychus minutus and Plegadis falcinellus. Lake Stomi: The lower part of the wetland on the eastern edge, which seasonally floods with salt water. Schinias Bay: On the bay’s sandy base we encounter Posidonia (Posidonia oceanica), a plant that grows only in clean water. In the rocky side of Cynosura peninsula, different underwater vegetation with higher algae develops. Step 1 – Download and complete the Registration Form along with your Waiver Form (both linked below). Once completed, submit them using the form provided at the bottom of this page. Step 2 – You will then receive an email with a cost breakdown based on your choice of accommodations. Once you approve that..
*If minimum numbers are not met by July 1st – the retreat will be cancelled and all deposits will be refunded. Send in your Registration form and Waiver using this form.